The marker is currently missing, but this image was probably taken prior to its placement ca. 1955. Courtesy Mediateca INAH. 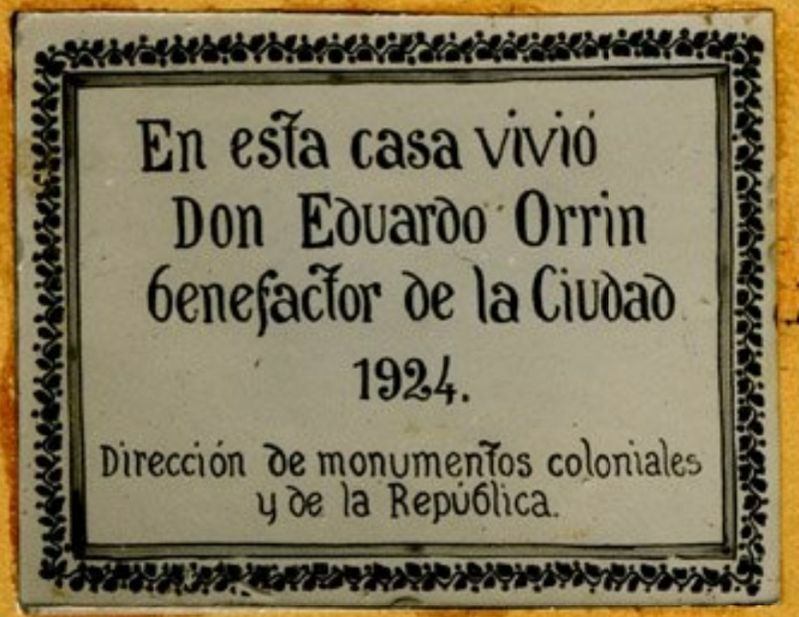 En esta casa vivió Don Eduardo Orrin benefactor de la Ciudad 1924. In this house lived Eduardo Orrin, benefactor of the city. 1924. Location. Marker is missing. It was located near 19° 25.978′ N, 99° 9.44′ W. Marker was in Ciudad de Mexico, Ciudad de México. Marker could be reached from the intersection of París and Madrid. Touch for map. Marker was at or near this postal address: París 17, Ciudad de Mexico, Ciudad de México 06030, Mexico. Touch for directions. The marker has been described at being at Calle París 17, which would have been to the right in this view along Calle París. 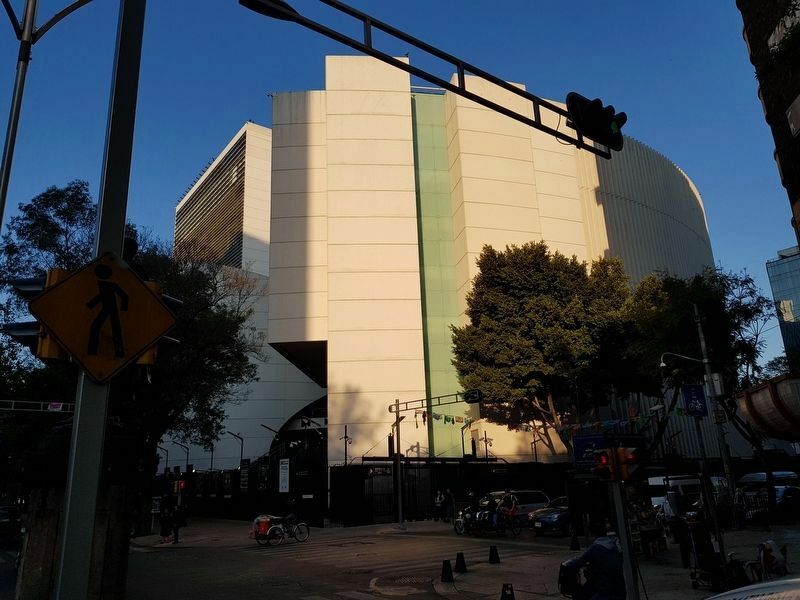 The location is currently the reverse part of the Mexican Senate Building (El Senado Mexicano). (about 150 meters away); Ponciano Arriaga (about 150 meters away); Plutarco González (about 150 meters away); The Juárez Tree (about 150 meters away). Touch for a list and map of all markers in Ciudad de Mexico. More about this marker. The Mediateca INAH notes that this marker was located at "...1° calle de París N'17". 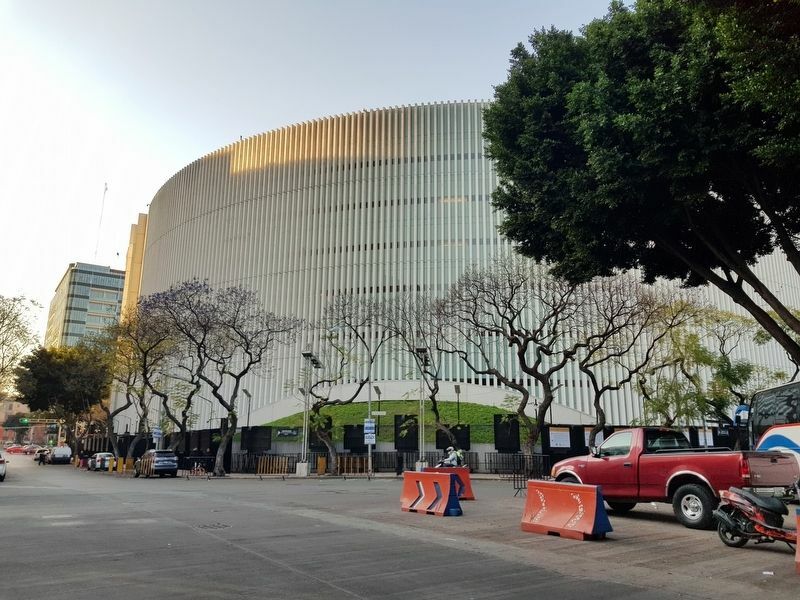 This view of the building is from Paseo de la Reforma, looking towards the south. More. Search the internet for Eduardo Orrin. Credits. This page was last revised on February 28, 2019. This page originally submitted on February 28, 2019, by J. Makali Bruton of Querétaro, Mexico. This page has been viewed 46 times since then. Photos: 1, 2, 3. submitted on February 28, 2019, by J. Makali Bruton of Querétaro, Mexico.